Order your cylinders for just $99* PLUS free delivery! Kleenheat is your local leader in LPG proudly supplying thousands of households across Western Australia and Northern Territory with safe and reliable LPG for cooking, heating and hot water. We believe in keeping things local and that’s why our team in Bakers Hill are on the ground to help you with all your gas needs. 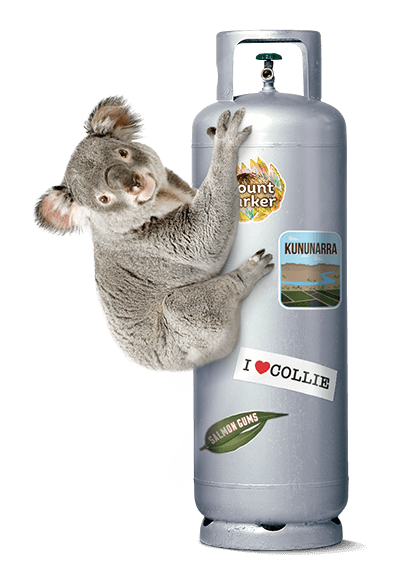 To get your 45kg Kleenheat cylinder for just $99* delivered right to your door call 13 21 80. *Terms and condition apply. Read full Terms & Conditions. This offer is only valid through Kleenheat and Kleenheat’s Mundaring Branch to residents of the Bakers Hill, WA area and is not available through Kleenheat’s dealers. This offer is for the supply of household LPG 45kg cylinders at a single residential address. This offer cannot be used in conjunction with any other promotion or discount offer from Kleenheat, excluding the 10% online order and pay. Price: This price can be for either one or two cylinders per order. This price is not valid on 45kg LW cylinders. Delivery: This offer includes free delivery. The standard Kleenheat facility fee will apply and an installation/connection fee may apply to customers with dwellings not already on LPG. Your agreement with Kleenheat (“Agreement”) will consist of the terms and conditions of this Offer and Kleenheat’s standard Terms & Conditions for Residential Cylinder Users (a copy of which is available at – https://www.kleenheat.com.au/wp-content/uploads/2015/10/GAS3857-Residential-User-Brochure-A4-HR.pdf. In the case of any inconsistency, this Offer will prevail. This offer is valid until 30 September 2019. This offer may be extended, cancelled or changed at any time at the discretion of Kleenheat. Wesfarmers Kleenheat Gas Pty Ltd ABN 40 008 679 543. Campus Drive (off Murdoch Drive), Murdoch, WA 6150. Ph 13 21 80.